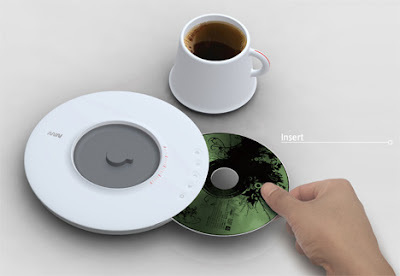 Designer Jongmin Kim came up with this interesting Drip with Song concept, the saucer is actually a CD player with built-in speakers which lets one to control favorite tracks and albums through their cup. 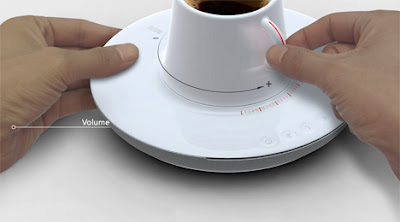 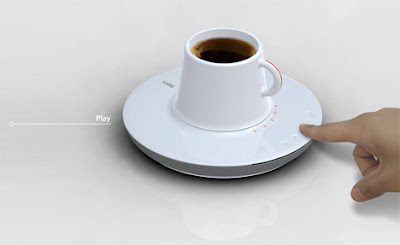 Turning the cup controls volume while the saucer features a few touch controls. 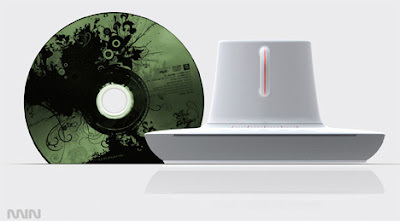 This could be something to make one go for the CDs once again as most of us have transitioned to digital downloads!